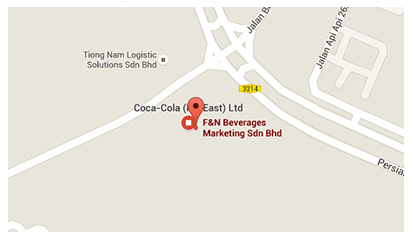 F&N Beverages Marketing Sdn. Bhd. RUMAH MALAYSIA – Join In The Spirit Because Together Everyone Achieves More! Rumah Malaysia will house several exciting activities through out the whole SEA Games period. There are many things you can experience from physical activities, cheering for our dedicated national athletes, collect 100PLUS Limited edition cups and many more. All activities are free of charge and open to all visitors! Stand a chance to win prizes when you participate in the Kinect Games and other activities listed below. Stay hydrated with 100PLUS. Purchase your favourite thirst quenching 100PLUS drink and collect all the Limited Edition 100PLUS SEA Games KL2017 Cups. It will surely look fabulous on your display. Apart from collecting the limited edition cups, you will be able to try your luck at the “Spin & Win” area when you spend a minimum purchase of RM10 for 1 spin. Double your chance when your purchase more. Premium items to be won include SEA Games Shirt, Jackets, Mugs and Game Tickets. Take advantage of technology where you can snap photos of yourself next to an Augmented Reality 100PLUS ambassador models like Dato’ Lee Chong Wei, Goh Liu Ying, Khairul Jantan and many more. Pose, save, and don't’ forget to share photos to your family and friends! Here is where you challenge your physical endurance by either playing Badminton or Football. Stand a chance to win SEA Games Rimau Pins when you defeat your competitor. There will also be other games to be enjoyed. Plus, you’ll get to have a photo opportunity with Rimau the mascot. There’s no better way to support and cheer for our national athletes with other Malaysians in Rumah Malaysia. The adrenaline rush and positive vibes uniting every Malaysian is a great way to lift each other’s spirit in a unique environment just outside Bukit Jalil. Follow 100PLUS Facebook Page to get live match schedule. Join In The KUALA LUMPUR 2017 Spirit in RUMAH MALAYSIA! Under Licence from FRASER AND NEAVE, LIMITED (c) FRASER AND NEAVE, LIMITED Copyright (c) 2016 100PLUS. All Right Reserved.